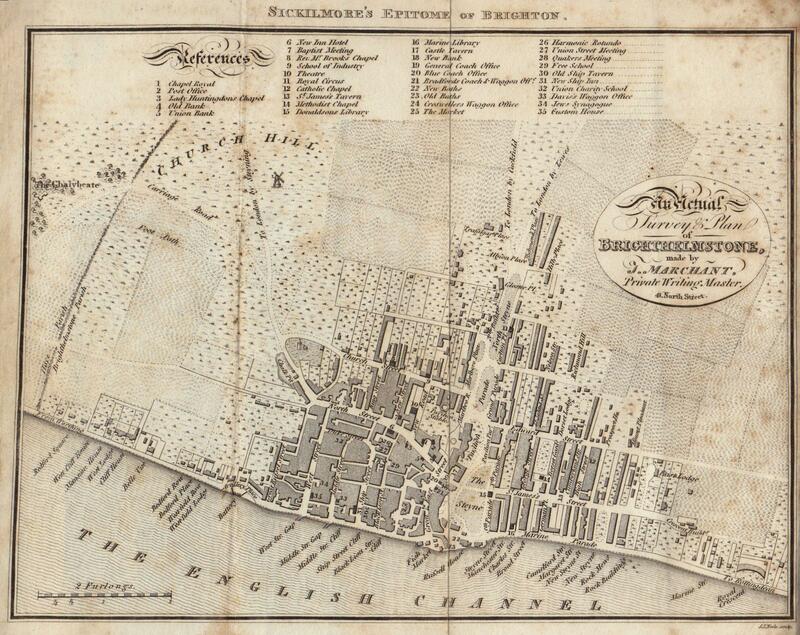 This map is taken from Richard Sickilmore’s book ‘Epitome of Brighton’, published in 1815 by W. Fleet. 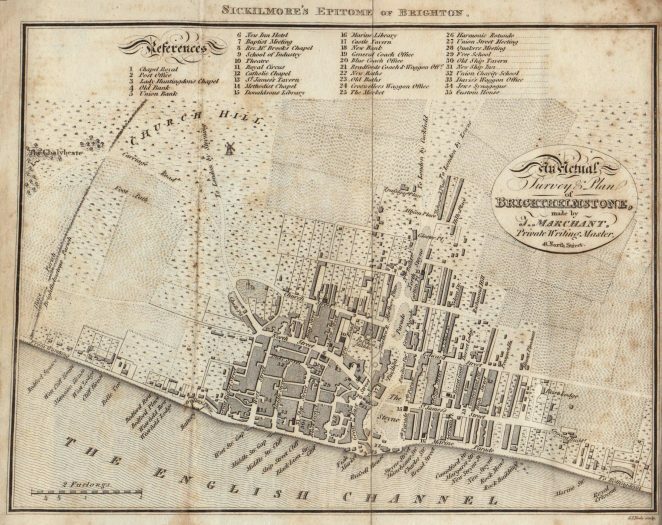 The map is by J. Marchant of 41 North Street and shows the town and surrounding area at that time. The most important 35 buildings are highlighted in the key and on the map. Click on the image to open a large version in a new window. Click again to further enlarge and examine in detail. Are copies of these maps available? Editor’s note: Sorry Hilda but we do not have copies of any of the maps. The Keep archive centre at Falmer should open to the public on 19th November and the original maps may be freely seen there and copies may be made for a modest fee (as yet the fee is not decided upon). Can’t wait for The Keep to open! It will be a tremendous resource for genealogists and those interested in local history. Roll on November 19th! Interesting! I can see my aunt’s old terrace within the St Nicholas church area (Wycombe Terrace), but not the house in Cannon Place, where her sister used to live, as the road hadn’t been built yet. Sadly, the latter property was incorporated in the hotel extension some years ago.